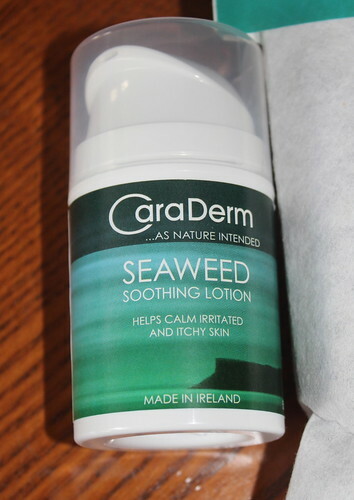 As a beauty blogger and someone who suffers from dry skin, I was absolutely delighted to have been sent samples of the “Caraderm” Seaweed products, thanks to Inish Pharmacy. This product had been featured on Dragons Den and had the added bonus of being made in Northern ireland, which, as always, really appealed to me. I love to support local. 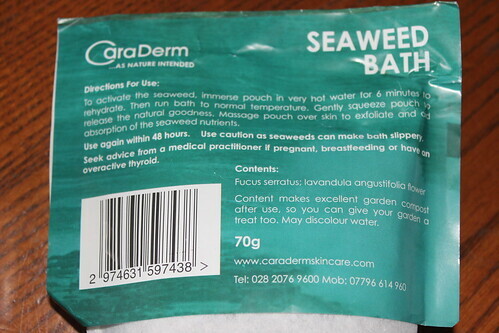 I had always heard of the benefits of seaweed for the skin but had never seen a product designed specifically for this purpose. 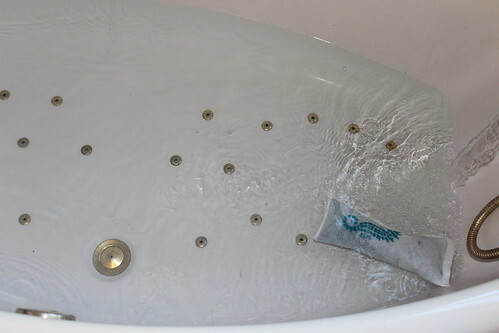 I was worried that it may feel or smell funny but I was very surprised with how pleasant the odour was and how nice it felt against my skin. 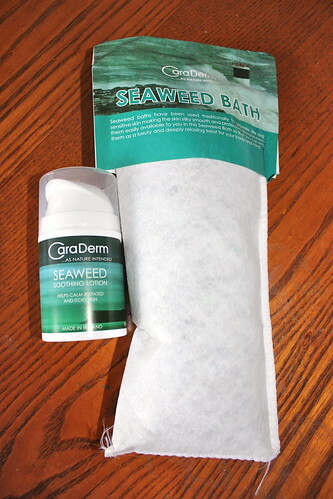 I was sent the “Seaweed Bath” which is an exfoliating pouch and the “Seaweed Soothing Lotion” which is designed for irritated, itchy skin. 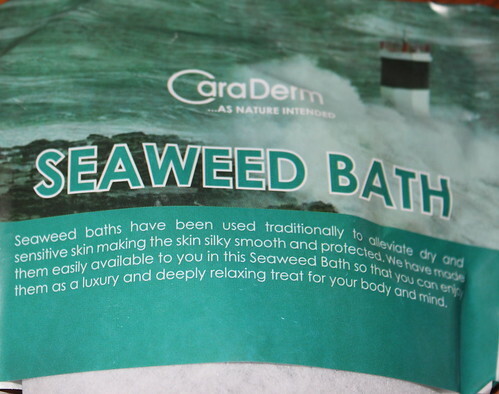 To use the pouch, you have to first soak it in very hot water to rehydrate the seaweed then put it in your bath as normal and rub it on your skin to gently exfoliate and moisturise. I then used the lotion on particularly dry areas of my skin such as my elbows and knees and I found it so soft and soothing. 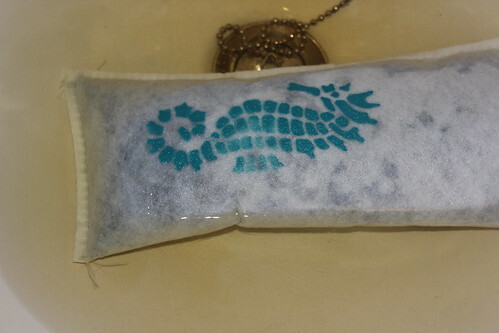 My skin felt so hydrated and eased after just one use and I had the added security of knowing that I was not using any harsh chemicals on my body. If you are interested in trying out these products for yourself, or any other that Inish Pharmacy have to offer online, you can check out their website (http://www.inishpharmacy.com) and use the exclusive discount code – CINDERELLA10 which is Valid until 31st July. This will entitle you to 10% off any purchase and it will definitely be worth it.